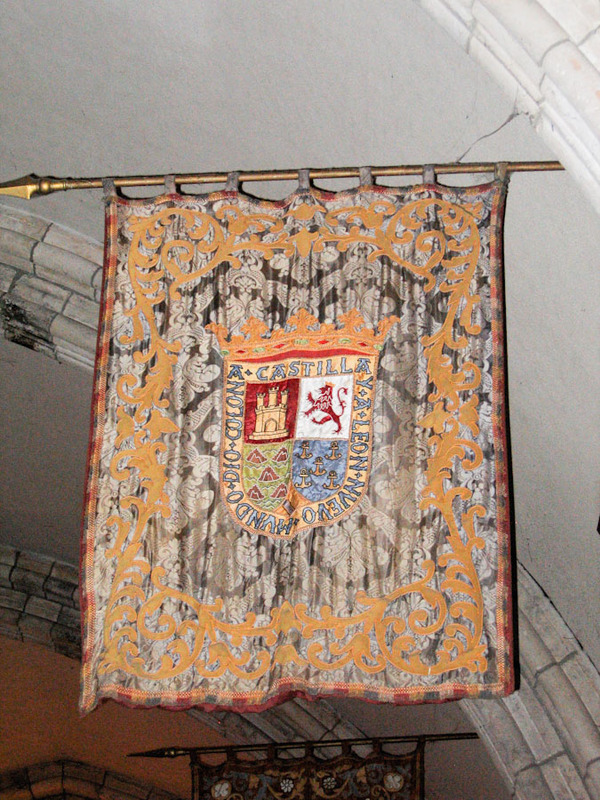 Description: Coat of arms hanging in the chapel of the Ancient Spanish Monastery. The words around the coat of arms read, "Castilla and Leon," which was a region in Spain, Castile and Leon, and is represented on the coat of arms by the pictures of the castle, or "castillo" in spanish, and the lion, or "leon" in spanish. It goes on to read "New World," represented by the anchors and mountains, followed by the words "God" and "Colony."